Part of my Tucson dreams includes buying a small travel trailer and hitting the road for months or a year. 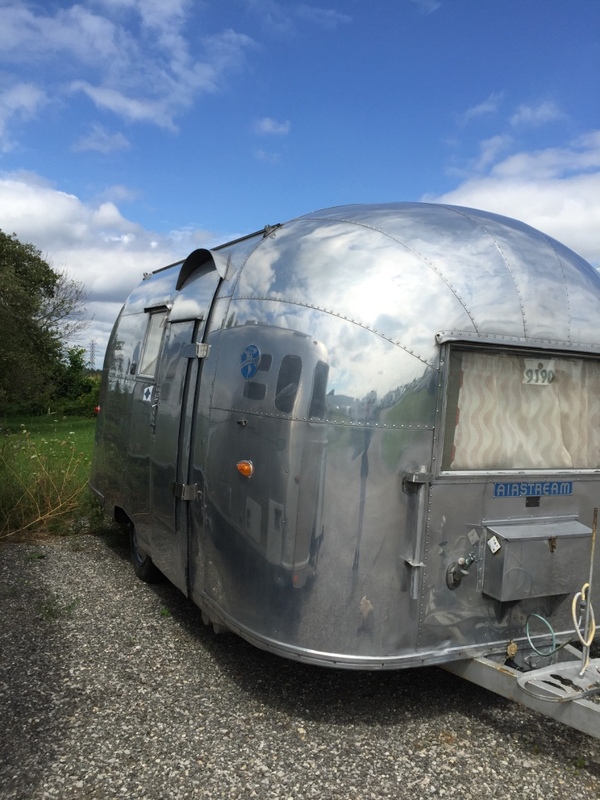 I love this old Airstream! It’s already owned by someone and it is very small and has wonderful features, like those riveted curves and the curved tiny roof over the door. 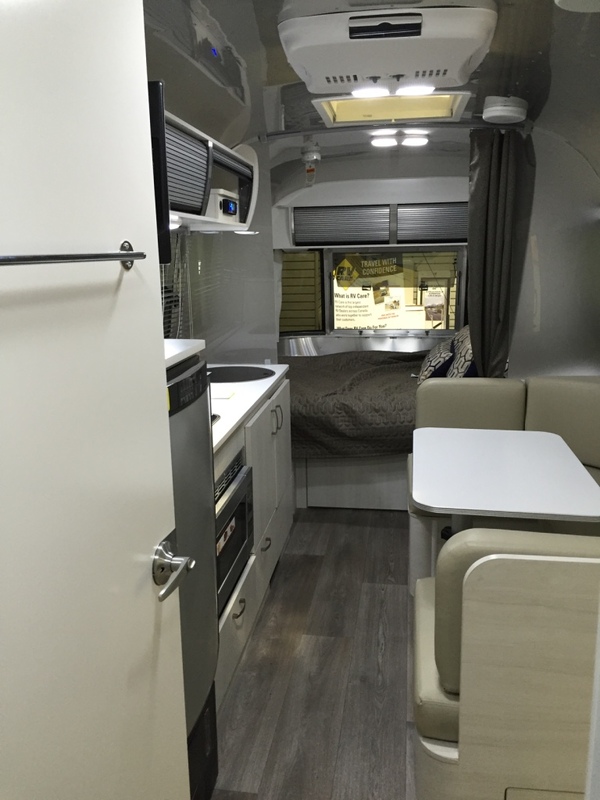 The newer Airstreams are elegant and wonderful in their own way as you can see in the photo below. I went to Tucson for a few days to look around and I couldn’t take my eyes off the sky and the landscape. The scale of the mountains that surround Tucson make the city look like a Monopoly game board. On Sunday, I was able to attend some open houses in the foothills and they were nice places with privacy and great views. I prefer to be close to my neighbors, so closer to town will be better for me. It was a great experience being in Tucson and I look forward to the day when I move there, but I don’t have a clear idea about when that will be or what section of Tucson is right for me.